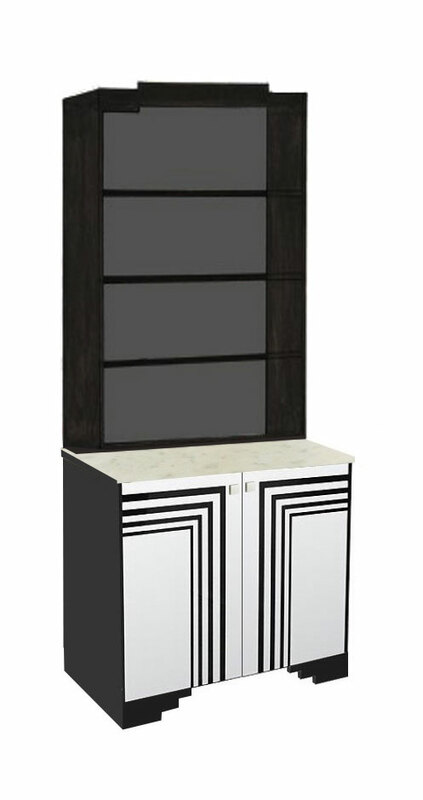 A visually striking range of bookcases & storage cupboards. 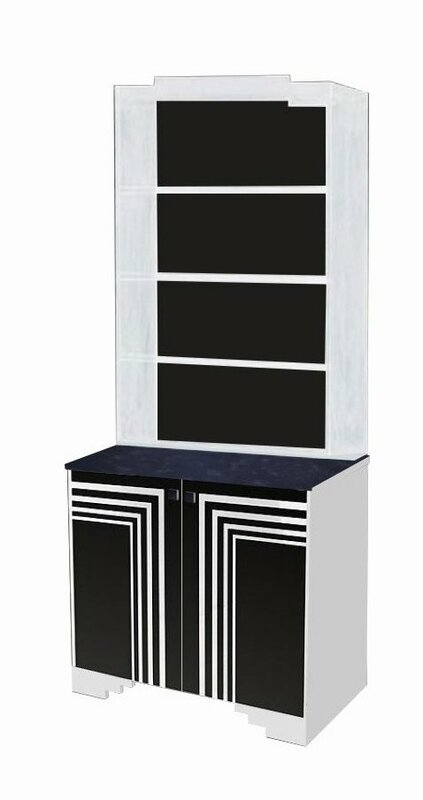 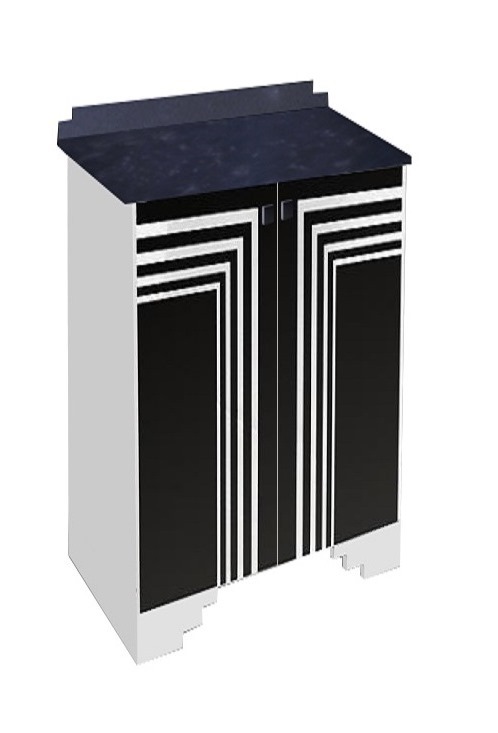 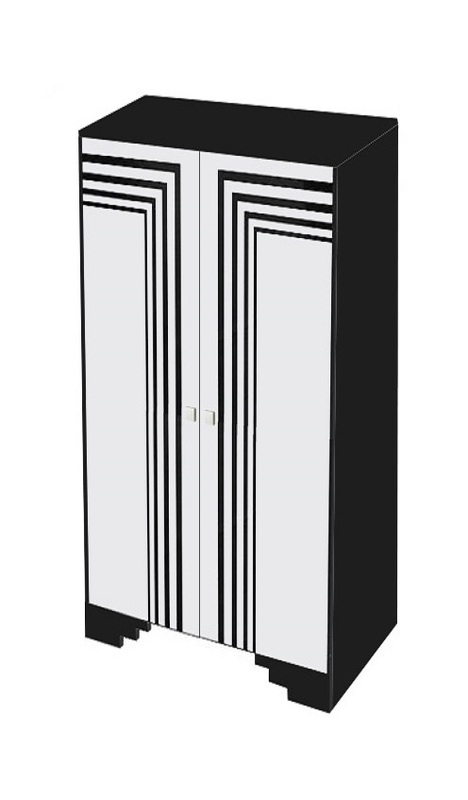 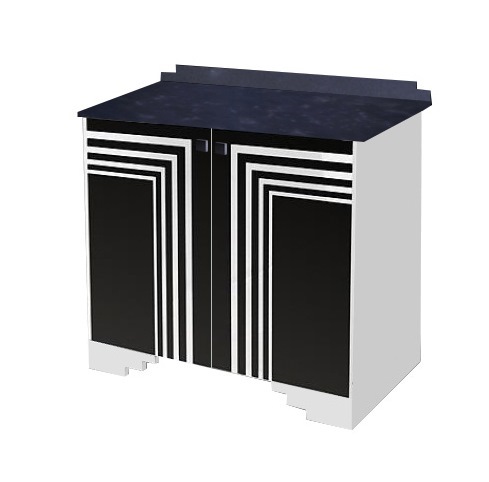 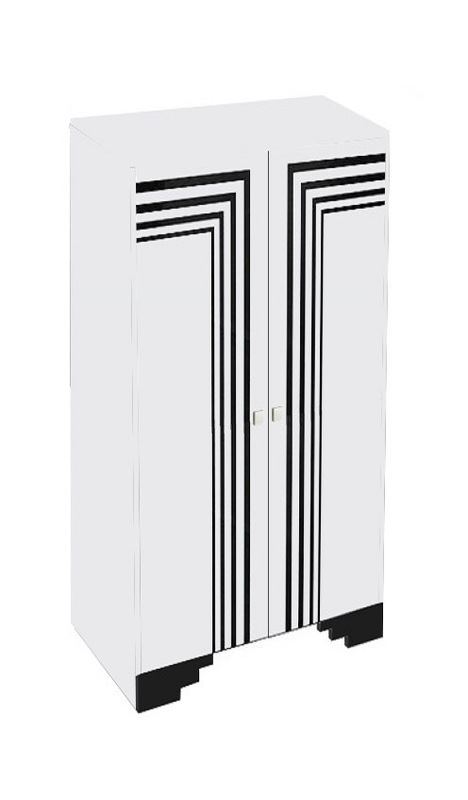 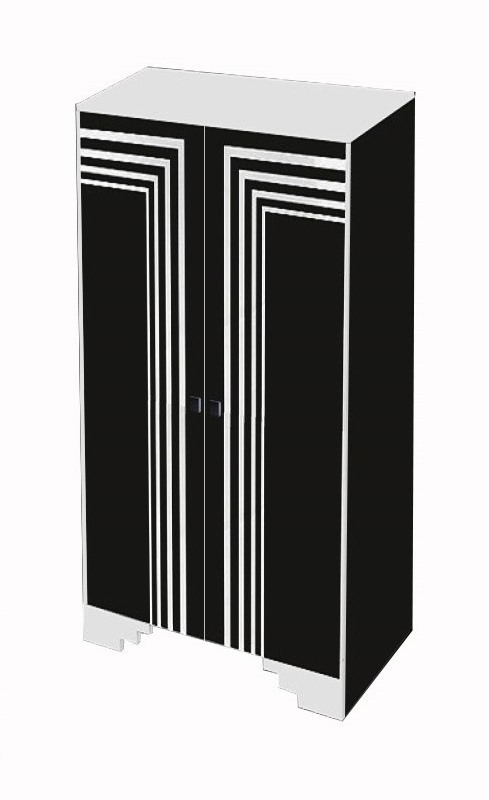 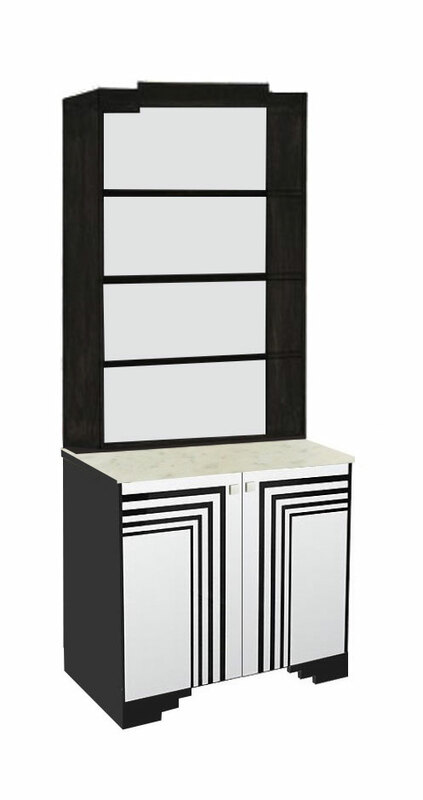 These are very graphic looking pieces of furniture, in black & white with Streamline speel lines on the doors. 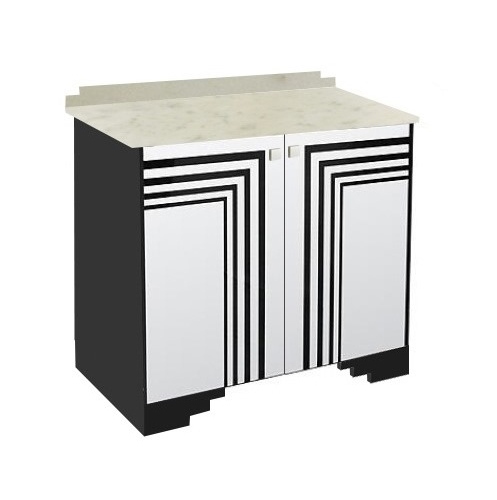 As they're made to order they can be made in a range of proportions & sizes, and variations in the finishes.